→What Is The Best Way To Store Strawberries? Here Are The Major Tips! You need to wash your berries only before eating them. First reason is berries are like sponges, when they absorb liquid they get wet, making them mushy and eventually spoil. Another reason is that when they get wet, they are likely to have molds. Stem prolong the life of the berries, so unless you are now about to eat them, don’t cut it yet. You can also cut the stem with ease just by using a straw. Be cautions of even a single spoiled strawberry. Molds spread very quickly, so if you find any berry that has molds on it, remove it immediately. There are two ways for you to clean your strawberries before eating them. You can wash them either by water or vinegar. 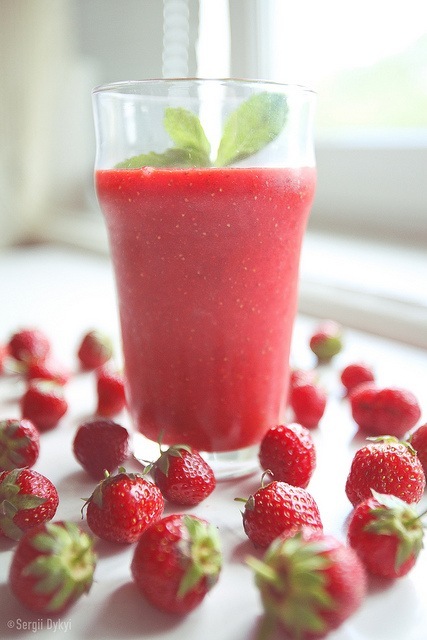 First thing to do is to remove any moldy or spoiled strawberries before pouring water on to the rest of the berries. Don’t wash them until you’re ready to use them. Again, strawberries absorb water quickly and it makes them spoil. Just keep strawberries that are plump and have a deep red color and discard otherwise. 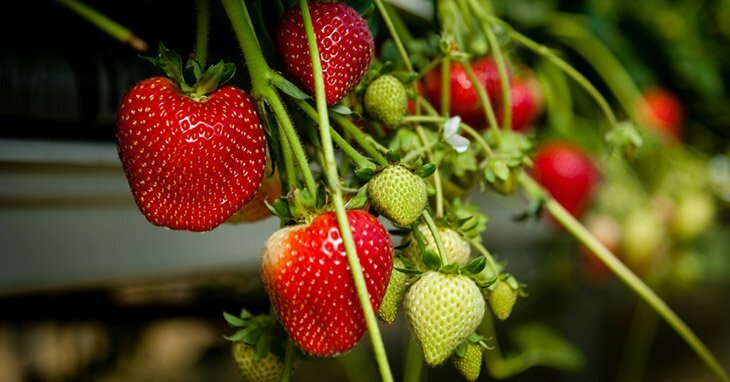 Stems protect the strawberries for water not to penetrate inside when being washed, don’t remove them yet. 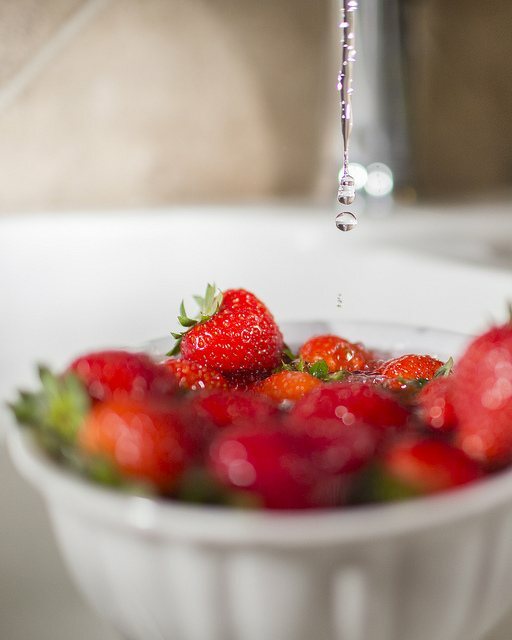 Rubbing the fruit with your fingers while washing the berries is more effective than only holding the fruit in running water. It will dislodge more dirt and microorganisms. Don’t soak them in water for long. Place them in a large, clean colander. Move them gently using your hands and make sure each berry is washed. Rinse them quickly. When left wet, berries will spoil and will taste bad. And so, you have to keep them dry. Also, if they are just left to dry, tendency is they will lose sweetness. You need to dry it quickly. Drain them in the colander for a minute. Dry them by gently tapping paper towel/kitchen towel on them. Washing them with vinegar makes them last longer compared with washing them with water. 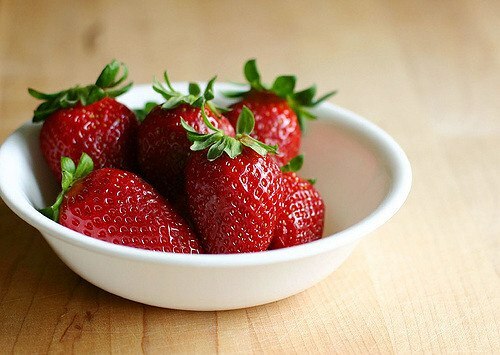 A vinegar can prevent the strawberries from getting spoiled in just a short period of time. Fill up half a clean sink with cold water. Have 1 cup of vinegar for every 3 cups of water. Clean a few strawberries at the time. You can grab 2-3 berries at a time. Run them through the vinegar solution for about 30 seconds. 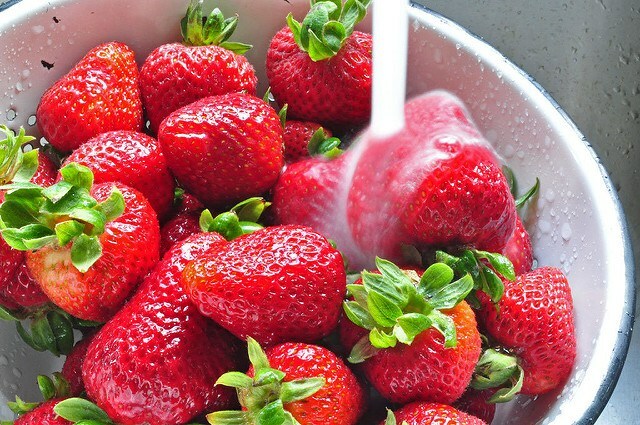 Rinse strawberries with a cold water. Gently pat them dry using any paper towel in your kitchen. You can leave them at room t﻿﻿emper﻿﻿ature when you plan to eat those hours after buying. If you are planning to eat your berries a day or days after buying them, putting them on the crisper or refrigerator is the best way. It keeps the berries humid to sustain its flavor. Don’t store your berries in the same container in the market. It is better if you place them in a dry container with paper towels to absorb moisture. They should last up to five to seven days using this method. Freezing them will make them last from one to six months. You have to remove the stems, slice them (optional), then freeze berries in on a baking sheet until solid. Store in an airtight container to avoid being exposed or you can use ziptop freezer bag. Only freeze ripe, firm strawberries. If the berries already have decays, there is no use in freezing anymore. Moldy or mushy strawberries are to be discarded immediately. Cut off the inedible green cap where the stem is attached. Choose a way on how would you want your strawberries to be. It is important to look at a few recipes first. You can have it Pureed – this works well in smoothies or any kind of cold beverages, or have it sliced – to make them as toppings on cakes or any baked food. You can also have them whole to be dipped in chocolates. You can add sugar or sugar syrup, however, this is optional. They can preserve sweetness but not the natural sweetness of berries. You can use 3/4 cup sugar for each 1 quart berries. Or create a sugar syrup by mixing sugar and water equally. Cover your berries with this mixture and freeze them. 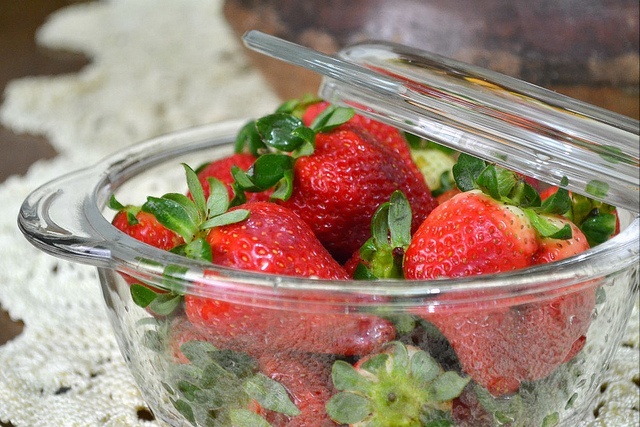 Thick and hard glass or plastic containers are the best material to freeze strawberries. Freezer-safe plastic zip lock bags is an option too. Generally, you store your strawberries according to the preferred time of eating them. Just follow the helpful instructions and tips to make your strawberries store in a best way possible! Do you like this post? What are your thoughts? Make sure you leave a comment below and don’t forget to share this post!